Iraq is probably on few authors or publishers lists as a place to sell books, and no question the bookselling infrastructure leaves much to be desired. But you would be wrong to dismiss Iraq, or any part of the Middle East, as a no-go area for booklovers. 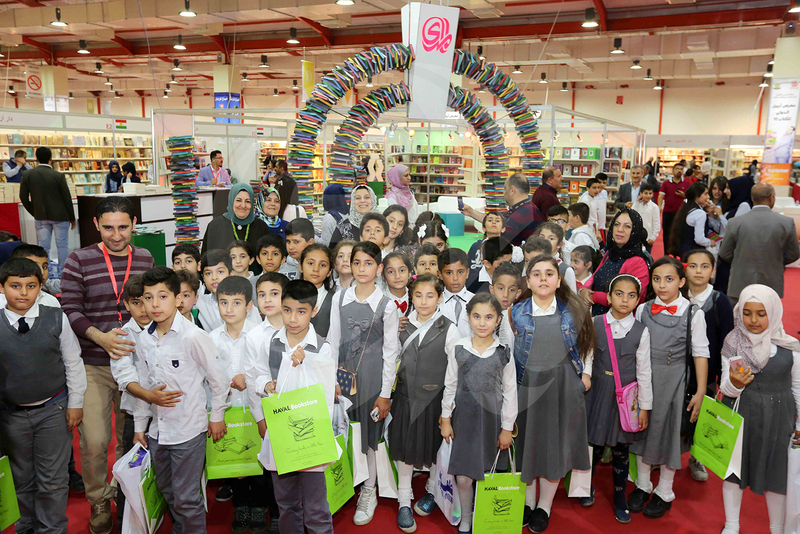 This past week the Erbil International Book Fair kicked off in the Iraqi autonomous region of Kurdistan. This year the events runs April 3 through 13, and on past track record some 100,000 booklovers will be there to enjoy the bookish fun and walk away with some bargains from among the 1 million titles on offer. Image via Erbil International Book Fair website.. The Erbil event comes not long after the Baghdad International Book Fair concluded. That was a slightly bigger event, breaking the 1 million visitor mark for the first time this year. Hardi Omar, the Administrative Director of the Erbil fair, reported to sponsoring media Kurdistan24 that 300 publishers from 21 countries were participating this year, up 20% on 2018. It would have been more but 50 prospective exhibitors had to be turned away because there was no more space available. Only 40 of the 300 publishers were Kurdish, with 200 Arab publishers and the rest from elsewhere. Censorship has been a recurring theme at the Erbil fair, being in the front line of the fight against IS, but there have been few voices raised in protest. The Kurdistan Regional Government (KRG) has a special committee that oversees and monitors the Erbil fair.